Dexter Daily: Dexter Season 7 Premiere Hits Ratings Record! 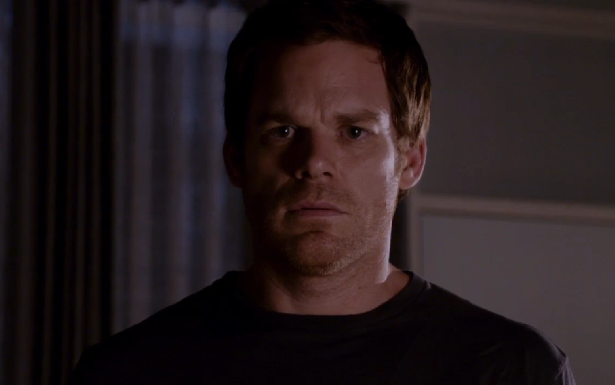 Dexter Season 7 Premiere Hits Ratings Record! Great news for Showtime and Dexter! The seventh season premiere of Dexter brought in its best premiere ratings in series history, 2.4 million during its inaugural 9 p.m. broadcasting, and getting a total of 3.04 million with a 11 p.m. encore. Last season's premiere episode brought 2.19 million viewers, Season 5 and 4 opener had 1.77 and 1.90 million viewers respectively. Homeland returned to 2.1 million viewers Sunday night, up sharply from last year (1.7 million for its premiere episode, plus another 400k for its repeat).